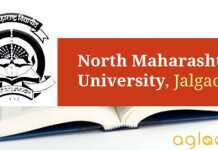 NMU PGCET 2019 – North Maharashtra University will be conducting Common Entrance Test (NMU PGCET) for Post Graduate Courses. It is a university level entrance examination conducted for the candidates who are willing to pursue post-graduate courses like MMS Personal Management, MMS Computer Management. Candidates willing to take admission in these courses will have to undergo NMU PGCET 2019. The entrance examination is expected to be held in the third week of July 2019. The entrance test will be conducted in offline mode. It is important for the candidates to fulfill the eligibility criteria first and then fill the application form. 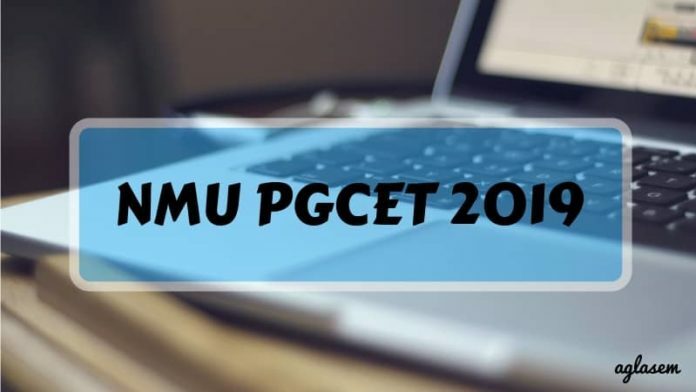 To know detailed information related to NMU PGCET 2019 Refer this page. Candidates willing to take admission in the postgraduate courses are required to appear for the NMU PGCET 2019. Interested candidates must note that they have to submit the application form at the Application Receipt Centres along with a prescribed amount of DD. Candidates can check the tentative dates of NMU PGCET 2019 from the table below. Candidates who are willing to seek admission in postgraduate courses offered by North Maharashtra University will have to fulfill the eligibility criteria as per the norms of the governing body. Eligibility Criteria for Appearing to CET: Candidates must have appeared for Graduation or an equivalent exam. Specific Criteria for admission to the following courses: The specific eligibility criteria for the various postgraduate courses is given in the table below. passed graduation from any Indian Statutory University. The NMU PGCET 2019 Application form will be available on the University Website. Before filling the application form candidates will have to fulfill the eligibility criteria as per the norms of the conducting body. Applicants must fill the necessary details in the application form like personal details, contact details, academic qualifications etc. After filling the application form, candidates will have to submit it at the Receipt Centre along with relevant documents and prescribed application fee. Application Fee: As per the records of the last year, candidates will have to pay Rs. 300 as the application fee for NMU PGCET 2019. In case of any changes in the application fee after the release of latest notification then, details will be updated here. The admit card will be available for the candidates in the online mode. To download the admit card candidates will have to visit the University website. Candidate must keep their login credentials handy to download the admit card. All the important information regarding the exam will be listed on the hall ticket so candidates should keep the admit card with them in good condition till the time admission process gets over completely. It is compulsory for the candidates to carry the admit card on the day of the exam as aspirants will not be allowed to enter the exam hall without a valid admit card. It is advisable for the aspiring candidates to check the exam pattern and then start their preparation accordingly. It will be helpful for the aspirants as they will get familiar with the structure of the entrance test. Mode of the Exam: It will be conducted in the offline mode (pen paper-based test) in which candidates will have to mark their responses in the OMR sheet. Type of Questions: NMU PGCET 2019 will be comprising of multiple choice based (MCQs) questions. Duration of the Exam: 1 Hour 30 Minutes (90 minutes). Number of Questions: The question paper will be consisting of total 50 questions. Before starting their preparation candidate should check the syllabus first as they will the rough idea about what all topics to be prepared from the exam point of view. The syllabus is as per the last year information. In case of any changes in the syllabus, it will be updated here. It is advised that students should prepare according to the topic which was there till the time of graduation. Candidates can have an idea from the examination centers mentioned in the table below although, aspirants should note that it is on the basis of last year’s information. If there will be any changes in the test centers after the release of the latest information then details will be updated here. There is an admission process laid by the North Maharashtra University for the postgraduate courses. Candidate can refer the information given below to know about the admission process. Candidates willing to seek admission are required to first read the Information Bulletin carefully. Candidates will have to submit a Demand Draft (DD) before filing the application form. After the submission of DD candidate can fill the application form. When the candidates will successfully submit the application form a form number will be generated by the system. Candidates will also have to print the application form and attach the attested photocopies of the relevant documents along with the DD and submit the same either in person or through the post. The list of the candidates who will be qualifying the Common Entrance Test (CET) will be available on the website and will also be put up on the notice board of respective college and ARC. Candidates must note that the list will not be published in any newspaper or will not be individually informed via post. The governing body has reserved a particular number of seats for the reserved category candidates. The reservation of seats for each category as per the rules of the North Maharashtra University from the table below. Insofar, Official details for NMU PGCET 2019 has not been announced yet. Information on this page is based on last year information brochure and for reference purpose only. As soon as North Maharashtra University will release NMU PGCET 2019 information brochure, details will be updated here. For more information about NMU PGCET 2019 refer 2018’s – Download Information Brochure.